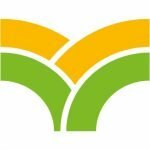 50,000 Farmers in 13 Countries: Results from Scaling up the System of Rice Intensification in West Africa is a publication of CORAF, Africa’s largest sub-regional research organization. The 120-page book documents the results of using the SRI approach in rice farmers’ fields in 13 West African countries between 2014 and 2016: Benin, Burkina Faso, Côte d’Ivoire, the Gambia, Ghana, Guinea, Liberia, Mali, Niger, Nigeria, Senegal, Sierra Leone, and Togo. Overall, the project benefited more than 50,000 farmers directly and reached more than 750,000 people indirectly — of whom 31.6% were women. Yields for farmers increased overall by 56% for irrigated rice from 4.23 t/ha to 6.6 t/ha (average of 292 sites) and 86% for lowland rainfed rice from 2.53 t/ha to 4.71 t/ha (average of 441 sites), by merely planting rice differently and in keeping with the SRI method. The project trained 33,514 people (of which 1032 were technicians) and the number of institutions working with SRI increased from 49 to 215 during the project period. “These are impressive results making this project one of the most successful in the CORAF portfolio,” says Dr. Abdou Tenkouano, Executive Director of CORAF. The ‘Improving and Scaling Up the System of Rice Intensification (SRI) in West Africa’ (SRI-WAAPP) project was part of the West Africa Agricultural Productivity Program (WAAPP), funded by participating countries under a regional competitive grant scheme managed by CORAF. The regional project coordination was assured by the National Center of Specialization in Rice based in Mali in collaboration with Cornell University, USA. SRI is an agro-ecological, climate-smart, and low-input methodology developed in Madagascar in 1980s and practiced today successfully in more than 50 countries. By planting young, single seedlings with wide spacing, by keeping soils moist but not flooded, and by enhancing soils with compost and other sources of organic nutrients, the plants become stronger and more productive. This translates in increased yields, often by more than 50%, while using 90% less seed, 30-50% less irrigation water, and less agro-chemicals. Practices can be adapted to local conditions and diverse rice systems. In West Africa, adaptation to lowland systems was highly successful. What’s the Rice Situation in West Africa? Rice is one of the primary staple food for most of the 430 million people living in West and Central Africa. Its sustainable production and transformation are crucial to the food and nutrition security of the region. Other major staples include maize, millet, sorghum, and wheat. While overall rice production in the 13 countries increased by 24% from 2010 and 2016/17 to 9.9 million tons of milled rice, rice consumption was growing by 35%, faster than expected. Self-sufficiency rate in 2016/2017 reached 54%. The goal set by the “Regional Rice Offensive” of the ECOWAS States is to reach rice self-sufficiency by 2025, producing the 24 million tons of milled rice that are projected to be consumed in the region. “If SRI is to make a real contribution to rice self-sufficiency in West Africa, many more farmers must adopt it,” say the book authors, Dr. Erika Styger, technical lead for the Regional Coordination of the project and Associate Director for Climate-Resilient Farming Systems at Cornell University, and Dr. Gaoussou Traoré, Regional Coordinator of the project and Coordinator of CNS-Rice. 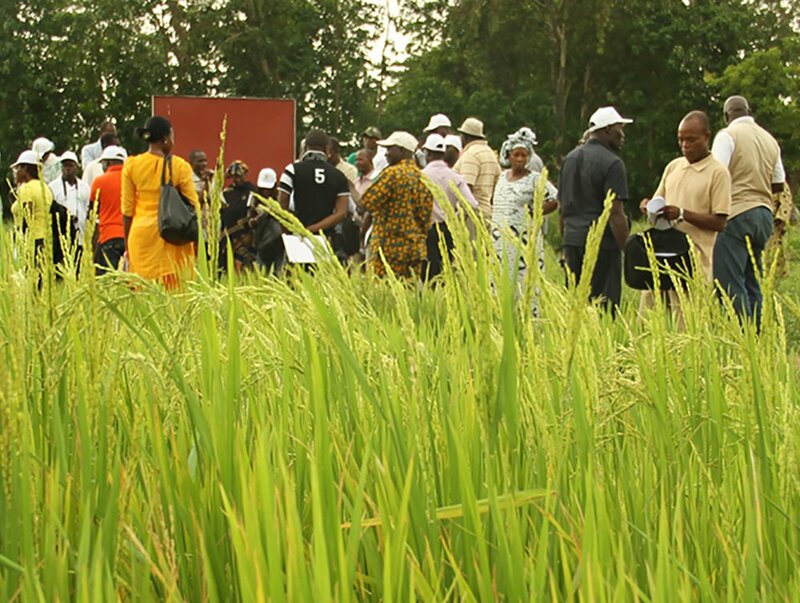 Rice self-sufficiency would be a reality in West Africa if all farmers adopt the practice. Download the book for free and find more information.